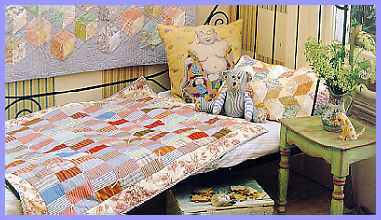 Quilting and Patchwork UK for suppliers of kits and accessories, guilds, magazines, books, courses and events for Quilting and Patchwork in the UK. In this section, you'll find everything needed for quilters and patchworkers, including fabric and accessories, books and videos, courses and workshops, guilds and organisations, kits and charts, magazines, haberdashery, a diary of craft and needlecraft events and a mailing list to keep you up-to-date. We also have sections for Cross Stitch, Embroidery, Knitting and Crochet, Lacemaking and Tatting, Needlepoint and Tapestry and Sewing.